Loans don't last forever, because they end on the maturity date. A maturity date is a deadline for settling a financial agreement. Typically, one party owes another party a sum of money by the maturity date. In practice, one person usually makes payments rather than paying the entire sum on the maturity date. The concept of a maturity date applies to a variety of financial obligations. The maturity date included on loans, certificates of deposit or bonds represents the point at which the promised terms of the financial arrangement are satisfied. In other words, it's the day on which the entire balance of a loan is due, or the date on which you can cash in a bond or CD or sell it. You can buy bonds from private entities, or you can buy treasury bonds from the United States government. You can buy bonds with maturity dates that range from two or three years up to 30 years. This means the organization from which you bought your bond must give you back your original investment on that date. In the meantime, you will collect interest. If you don't want to wait until maturity to get your money back, you can sell your bond to someone else. The new owner would then get the original investment back on the maturity date. The maturity date on a loan is the date on which the entire balance is due and owing. For example, when you have a 30-year mortgage, it means the mortgage matures in 30 years. Payments are timed so the full amount of the mortgage is paid off by the maturity date. 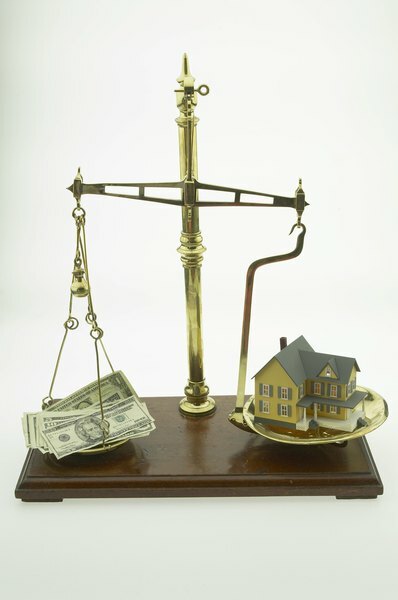 Mortgages come in a variety of lengths, depending on the lender. You pay interest on the money loaned to you and agree to pay all the interest and principal by the maturity date. Typically with a home loan, you must pay each month at a pace that guarantees payback of the loan by maturity. Auto loans and business loans work the same way. Some loans allow lower payments for several years, then a "balloon" payment at the end pays off the rest of the loan on the maturity date. Whole life insurance policies usually mature when you, the policyholder, turns 100. This means that when you turned 100, you would get the full value of the policy paid to you. However, since most people don't live to be 100, the policy pays a beneficiary upon your death, as agreed in the policy documents. This payment is a set amount that you agree to when buying the policy. With a universal life policy, you get the face value of the policy at maturity, unless you have elected to have the death benefit continue past the maturity date. In other words, even though you have finished making payments, the policy will pay your beneficiary when you die. Technically, the maturity date is extended to the date of your death. When you buy a certificate of deposit, or CD, from a bank, you agree to leave your money in the CD for a specific length of time. This is the maturity. A one-year CD has a maturity date set one year from when you buy it. You receive interest up to the maturity date, and then you get all of your money back. Some banks will automatically reinvest your CD proceeds into a new CD with a new maturity date if you don't notify them that you want your money back. Financial Web: What Does Loan Maturity Mean? Do Long-Term Bond Funds Have Reinvestment Risk? What Is an F Series Bond?